Believe it or not, it’s time to start preparing for the holidays. It’s almost time to string up those Christmas lights and decorate the tree, all while sipping on hot apple cider and eating delicious Christmas cookies. It’s also time to start brainstorming ideas for Christmas gifts. Every year, I end up stressed out about what to buy my friends and family members for the holidays. Of course, I want my gift to be completely unique and unexpected. That said, I also want the gift to resonate with the recipient (and not end up in a drawer or corner). This year, I plan to recycle old mason and baby food jars and fill them with everything from food to DIY body scrub. 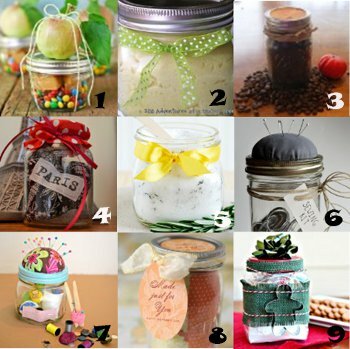 Gifts in a jar are a quick, easy and inexpensive Christmas idea for anyone that loves to craft. The holiday season can wreak havoc on your skin (hello wind and sub-zero temperatures!) and cause redness and irritation. Hand and body scrubs are a luxurious option that anyone can appreciate and best of all, you can make your own versions at home! Gardener’s Hand Scrub smells good and looks even better. Another fun DIY scrub is the Amazing and Edible Chocolate Body Scrub. Talk about delicious – you’ll want to save a generous amount for yourself after taking one whiff. 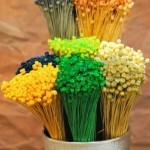 Looking for edible options? Nothing says winter like hot chocolate, so give someone the yummiest gift of all with a Hot Cocoa Jar. This year, skip the fancy gift wrap and give a gift in a jar. Whether you choose to include edible ingredients or a luxurious scrub, your thoughtfulness and creativity is sure to get noticed. Honestly, I would be happy to give or receive any of them. Every idea is very clever and beautiful. Any of them would be welcomed. Thanks for the link love! So flattered you shared my Mason Jar Sewing Kit, seriously great selection of gifts!